 Here at the Trust we have long been concerned by the use of bailiffs by local authorities – and our advisers continue to help National Debtline clients confronted by this prospect week in, week out. I suspect most people would be surprised if you told them that the worst organisation to owe money to is often your local council – but the truth is that this is a big problem, and getting worse. 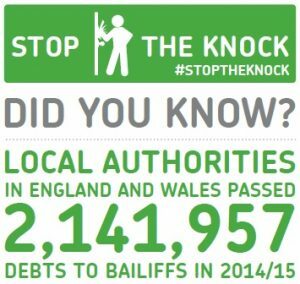 Our recent Stop The Knock campaign showed that 2.1 million debts were passed to bailiffs by local authorities in England and Wales during 2014/15, an increase of 16 percent over a two-year period. Of these, 1.27 million referrals were for Council Tax arrears – itself a growing problem. One in four callers to National Debtline were behind on their Council Tax last year – up from just 14 percent in 2007. Of course local authorities must collect the debts they are owed – and in the case of Council Tax, this is particularly crucial in ensuring funding for the local services we all rely on. Many councils, however, are far too quick to escalate to bailiff action, adding additional stress and anxiety and worsening what is already a difficult situation for residents in financial difficulty. Instead, earlier intervention, affordable repayment plans and proper signposting to sources of free debt advice can deliver better outcomes, both for those in arrears and for the taxpayer. The good news is that many local authorities are taking the initiative to improve. We contacted every lower-tier council Leader or elected Mayor, together with their chief executives and local MPs, last autumn as part of our Stop The Knock campaign – and so far 28 authorities have committed to improve their practices in some way. These commitments have ranged from improved signposting to debt advice services such as National Debtline, to fully fledged reviews of debt collection practices. It’s a start, if a slow one. As well as pressing the benefits of reduced reliance on bailiffs to local authorities directly, we have made this case directly to the Department for Communities and Local Government and to former MP Eric Ollerenshaw, who recently led an Independent Review of Local Council Tax Support (LCTS). Last month we were heartened to see the Ollerenshaw Review follow the Work & Pensions Select Committee in highlighting our Stop The Knock findings on increasing bailiff use as an area of concern. Ministers now have a golden opportunity to make a difference here – at scale and soon. The forthcoming strategy on Life Chances – focused largely on helping families in poverty – will explicitly recognise debt and household’s financial circumstances as key drivers in shaping people’s future life chances. Council tax debts and related enforcement action cause all sorts of family stress and conflict, as the Children’s Society have documented in their report The Wolf at the Door. Taking steps to end this stress, put more sensible repayment mechanisms in place would ensure that government are prioritising children’s life chances. Ultimately, we would like to see the existing voluntary guidance for local authorities on collecting Council Tax arrears put on a statutory footing – however we recognise that in an age of localism, this goes against the grain of this government’s instincts. There are, however, two more limited interventions that DCLG could make that we believe could make a big difference. In its response to our Stop The Knock findings last autumn, DCLG said it expects councils “to be sympathetic to those in genuine hardship, while ensuring they are proportionate when delivering collections to ensure a fair deal for all local people” – something we certainly agree with. Key to this is the identification of those residents who require additional financial support – something that local councils already do through their locally-determined criteria for awarding Council Tax Support. In London, the boroughs of Islington, Brent and Southwark have implemented a policy of ending the use of bailiffs in the case of these most financially vulnerable residents. DCLG could require all councils to follow suit by amending the Council Tax Enforcement Regulations 1992. Secondly, a relatively simple change to councils’ reporting requirements could go a long way towards incentivising better debt collection practice. Local authorities are (rightly) incentivised to focus on efficiency through quarterly reporting of the headline council tax collection rates to DCLG. At the same time, they are only encouraged to follow the Good Practice Guidelines on the Collection of Council Tax Arrears, which includes the need to only use bailiffs as a last resort, and to signpost to free debt advice. In our view, there is a clear case to incentivise fairness in debt collection practice in the same way as DCLG incentivises efficiency. A statutory requirement to report debt collection methods and outcomes would open up authorities’ practice to local public scrutiny, and enable DCLG to monitor debt collection practices across the country. These two interventions alone could make a real difference for residents in financial difficulty – and with Council Tax arrears at record highs, there has never been a better time for DCLG to step in. The Ollerenshaw Review has given Ministers the opportunity to change local government debt collection for the better – and we will be urging them to seize it in the coming weeks months.